Dan Keberle, Branford Marsalis, Brian Flick and Landon Keberle. 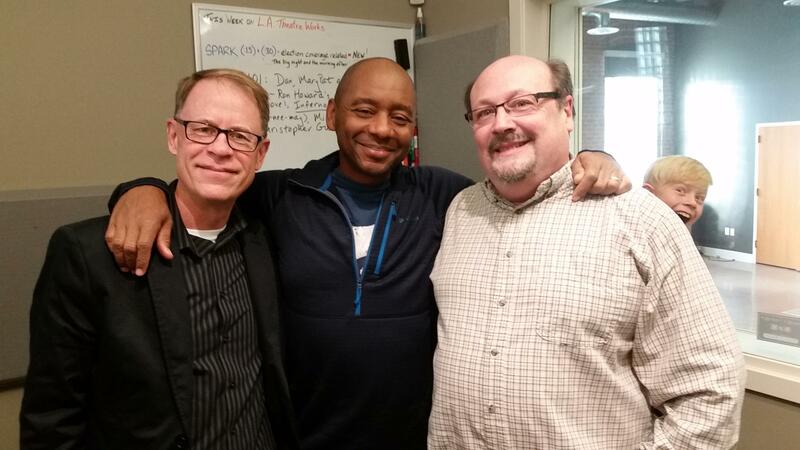 Today we were thrilled to welcome renowned jazz saxophonist Branford Marsalis to Spokane Public Radio to speak with us about his upcoming performance with Whitworth Jazz Ensemble. Marsalis, a three-time Grammy winner will be in concert on November 5 at 8pm at the Martin Woldson Theater at the Fox, in downtown Spokane. Ticket information is available from the Fox Theater box office. Marsalis will also lead a jazz clinic at Cowles Auditorium at Whitworth University on November 4 at 5:15pm. The clinic is free and open to elementary, middle school and high school students. In the interview below, Branford Marsalis talks with KPBX's Brian Flick about his tomorrow's concert, his musical background and how he sees the future of jazz.